What causes chest congestion and how to get rid of it? Home » General Health » What causes chest congestion and how to get rid of it? Chest congestion is a common respiratory symptom that could be an indication of the flu or cold. However, there are also cases where it can be a sign of a more serious health issue, like an infection or heart disease. Most people understand that chest congestion is a sign of excessive mucus in the lower airway. It is normally due to inflammation of the airways and lungs and involves some degree of restricted airflow. Chest congestion can be really uncomfortable. For some individuals, it can even be painful because the lungs fill up with excess mucus and other fluids. Coughing is the body’s natural way of getting rid of the mucus that has built up. Chest congestion can be caused by many different things. When the body triggers an immune response against viruses, bacteria, and other infections, it can lead to chest congestion. A cold is the most common cause of chest congestion, but other factors can cause mucus buildup as well as other associated symptoms. Cigarette smoke can damage the cilia in the lungs. The cilia normally prevents foreign particles from entering the lungs. In the case of smoking, the cilia can be destroyed by particles coming into the lungs, leading to production of mucus. This is inflammation of the bronchial lining. It triggers immune cells to fight inflammation, which can cause chest congestion. When a virus attacks the body, it can cause a number of symptoms, including congestion, fever, and cough. When the muscles around the airways constrict, it leads to swelling in the air passages, which reduces the amount of air that passes into the lungs. As a result, congestion builds. This is a genetic disorder that leads to mucus in the lungs. When someone is exposed to an allergen, it triggers an immune reaction that affects the respiratory system. It often starts as a common cold, but it’s a bacterial infection that causes the lungs to fill with fluid. This is a condition where fluid builds in the lungs. It is caused by diseases including lung problems and cardiovascular conditions. Chronic obstructive pulmonary disorder is caused by inflammation of the bronchial lining. COPD causes irreversible damage. People who work in environments where there are toxins or particulate matter risk inhaling the fumes or dust, which can interrupt the normal flow of air into the lungs. The release of harmful chemicals or odors into the atmosphere can lead to breathing problems and chest congestion. Those who suffer from congestive heart failure experience lung congestion. This is because the heart cannot pump blood effectively through the body and fluid starts to accumulate in the lungs. Although we rarely hear about it today, tuberculosis can also cause chest congestion. Tuberculosis is an infection of the lungs caused by mycobacterium called tuberculosis. This is a very serious condition because it not only attacks the lungs, but the kidneys, brain, and spine as well. If left untreated, tuberculosis can be fatal. Chest congestion is best described as heavy mucus that is usually accompanied by a wet cough. For many people, it also comes with different degrees of difficulty breathing. Generally, chest congestion symptoms depend on the severity of the condition. If the chest congestion is caused by the flu, symptoms such as fever, chills, and body aches may occur. Nausea, vomiting, and headaches could be related to an underlying cause of chest congestion. Symptoms that are sudden, severe, or get worse require immediate medical attention. 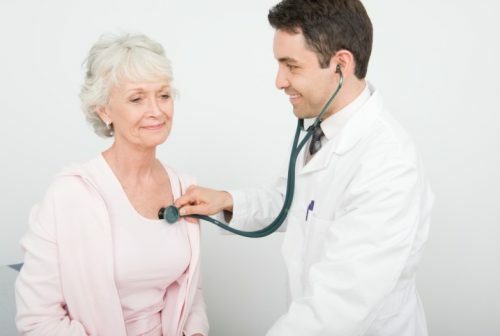 Often times, doctors can diagnose chest congestion causes based on a quick physical exam and a review of symptoms. Depending on the symptoms, tests may be conducted, including a chest x-ray, blood tests, CT scan, pulmonary function test, and exercise testing. In some cases, it is best to leave treatment of chest congestion to health care professionals. There are people who do get the common cold every few years or they experience seasonal allergies that lead to chest congestion. Some are very much in tune with the signs and symptoms. Sometimes all it takes is a little research into home remedies. There could be some items in your home that could relief your chest congestion. Salt water gargle. Using saline water to gargle can help remove mucus from the respiratory tube. Add one-to-two tablespoons of salt to one glass of water that you have boiled. Stir it up, and when it is warm (not hot), gargle. Steam. A hot shower or a bowl filled with very hot water can break up mucus in the lungs and throat. With the bowl method, you place your face over the bowl and a towel over your head to trap in the steam. Elevate head. When sleeping, keep your head elevated to promote drainage of mucus. Hot pack. Some people find applying a hot pack to the chest helps soothe congestion and the discomfort that comes with it. Onion and honey. Place a slice of onion covered in honey in a bowl overnight. The next day, consume the onion. This is said to help reduce inflammation. Bay leaf. Steep bay leaves in boiling water and drink it. Bay leaf has been known to help with chest congestion. Lemons. The bitter yellow fruit can help get rid of mucus-forming bacteria in the respiratory tract. Add some grated lemon rind to a cup of hot water, steep for about five minutes, strain the water, and drink. This can also be used for gargling. Ginger. This is soothing for the throat and a good remedy for chest congestion. You can add a small piece of ginger to hot water, steep it, and then strain and drink it. You can also simply eat raw ginger. Thyme. The herb helps fight mucus-causing bacteria. Adding one-fourth of a teaspoon to one cup of boiling water, soaking it for five minutes, adding a little honey and then drinking it, is the best approach. Tea/Lemon/Honey. An old, but well-used remedy is a cup of tea with lemon and honey in it. Boiled vinegar. This helps with chest congestion if you boil some and use it for inhaling its vapors. Apple cider vinegar. This vinegar can be effective in killing bacteria, which causes mucus. For best results just swig down a shot of apple cider vinegar every eight hours. Yoga. Certain yoga positions can help open up airways and drain mucus. The reclining bound angle pose is one example. Humidifier. A humidifier can help open up the nasal passages to assist you in getting a better night’s sleep. Sleep is important when you are ill.
Mentholated cream. These types of creams give off a strong scent that can help you breathe easier. Many people place the cream on their chest at night before they go to sleep. In addition to the remedies mentioned above, it is important when you have chest congestion to stay well hydrated. Drinking plenty of water can help clear out mucus. Warm water is best since it thins out mucus, allowing it to move. Eating healthy, nutritious foods such as citrus fruits, garlic, asparagus, and pineapple is a good idea. These food items have been known to help clear out the chest. Having chest congestion can make you feel downright miserable. Every year in the United States, people suffer a total of one billion colds. While we are not suggesting everyone run off to the doctor when they get a little sniffle or cough, we do want people to take chest congestion seriously when the symptoms seem to appear for no reason or when they come on suddenly and are severe. Getting a quick, proper diagnosis can rule out and address any serious conditions and get you back to feeling yourself.